Heritage SF is a music and food festival celebrating APA heritage month at caamfest36. HERITAGE SF (along with our friends at IdentityLA) aims to one of the largest celebrations of Asian Pacific Islander American culture + lifestyle in the country. This FREE music festival will feature a high energy concert, award ceremony, and community engagement with vendors highlighting local community organizations, businesses and food + drink. In 2018, it will be the 40th anniversary of APA Heritage Month. 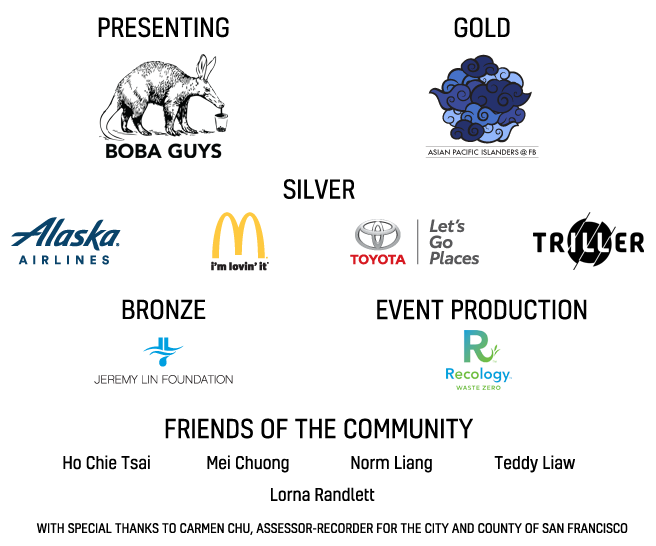 To celebrate, the city of San Francisco will host a series of community events to recognize and honor the diversity and significant contributions that AAPI’s have made to the city’s richness. The San Francisco Bay Area is one of the most diverse locations in the world and home to over a million Asian Americans and Pacific Islanders (AAPI), behind only Los Angeles and New York City. Every May, AAPI diversity is celebrated throughout the city and the nation during Asian Pacific American (APA) Heritage Month. HERITAGE SF is presented by Boba Guys and produced by the Center for Asian American Media (CAAM) and International Secret Agents (ISA). We will showcase local artists and organizations before our featured acts. We will also recognize some of the local APA community leaders. Please visit our Community page to learn more about how to get involved.